Kevin O’Connor becomes the latest Credit Suisse equities veteran to join Barclays as the bank continues to grow its business. Barclays has hired another senior electronic equities specialist from Credit Suisse as the investment bank continues to build out its cash equities business. Kevin O’Connor will join Barclays in autumn this year as its new head of electronic equities origination for the Americas, a spokesperson has confirmed. He joins from Credit Suisse where he most recently head of sales for the Americas within the Advanced Execution Services (AES) team in Global Markets. O’Connor was responsible for the sales, marketing and distribution strategies for electronic products in the region at Credit Suisse. In his new role, O’Connor will oversee all platform sales for Barclays’ electronic and electronically enabled high-touch cash products, and will play a key part of both the electronic equities management and the equities sales teams in the Americas. The new hire signals Barclays’ continued investment in its low-touch execution strategy as it looks to drive additional market share in the Americas across the cash equities market. O’Connor is the latest Credit Suisse electronic execution team member to join Barclays, after Naseer Al-Khudairi, who spent almost 20 years with Credit Suisse, joined the bank in February as global head of electronic equities. “I am confident Kevin’s appointment will help us build on momentum in our cash franchise by accelerating the development of differentiated products and services, and by driving greater client penetration,” Al-Khudairi said of O’Connor’s appointment. More recently, Barclays appointed Neil Staff from Credit Suisse as its new global head of exotics trading and head of derivatives trading for Europe and the Middle East within its equities trading business. Similarly, Matt Pecot joined Barclays from Credit Suisse as head of equities for Asia Pacific. 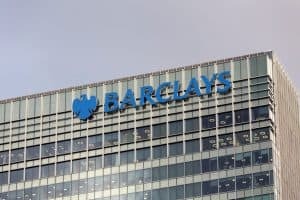 Barclays added that it is focused on retaining and developing its staff, as well as bringing in new talent, to help deliver its long-term growth initiatives. For equities, Barclays is looking to grow its cash business and build on its electronic equities platform.